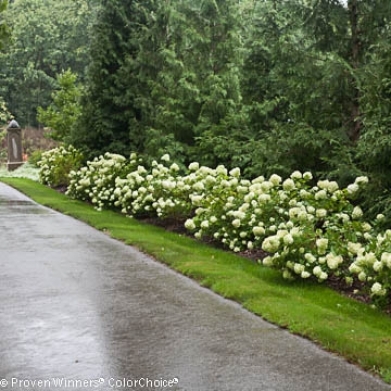 If everyone could grow the mophead hydrangeas maybe no one would bother much with the ‘paniculata’ hydrangeas with their limited colour palette. But the mopheads (H. hortensis) need more moisture than some gardens can provide, are not hardy in the coldest parts of the UK (though they grow well throughout Ireland) and they change colour according to the soil pH. The pruning can get people hot and bothered. 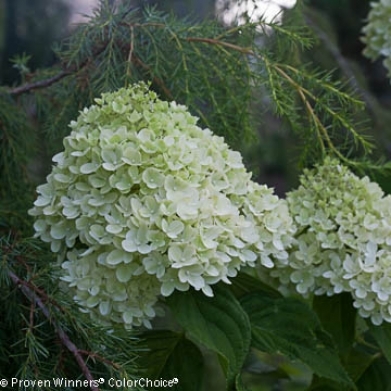 So H. paniculata is a very useful plant ( hardy to zone3 in the USA) and a vigorous resident of your shrub border. Hard pruning in spring results in long stems with massive heads of creamy white flowers: the trouble is that the heads can be so big that the stems bend under the weight. Light pruning is a solution but the temptation to prune hard to get the biggest flower heads is hard to resist on a cold March day. The colour range is limited and is basically creamy white but there is more to it than that. The flowers start off lime green and some pass quickly to cream while others develop a red tinge quickly. But all pass from green through cream to red, with all possible variations of saturation and speed. And there are cvs. with densely packed cones of sterile bracts or more loosely formed heads with a proportion of fertile, small flowers. 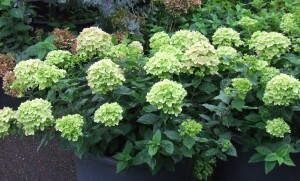 New to the market is ‘Little Lime’ (‘Jane’) which brings us dense heads of pale green flowers that age to deep red. Like others, it brings colour to the garden from July to October but it is more compact that similar cvs. I am glad to say that this is no stunted dwarf and it will reach 1-1.5m high when mature and in bloom. This makes it good for borders and even a possibility for large pots too. It is said to be sturdy and self supporting and it is interesting to see from the top photo that it looks OK in rain. 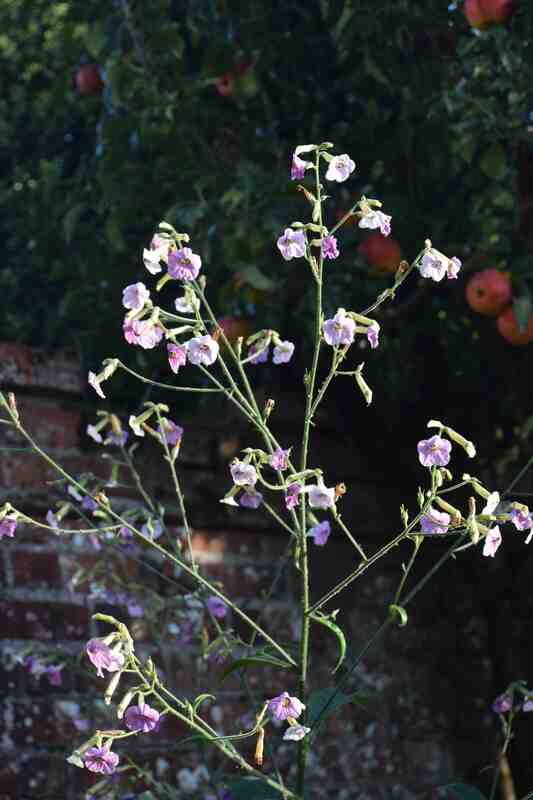 This was a tricky one but well done if you knew it was Nicotiana mutabilis. Well done for getting christmas things done! And I envy you having some sun! Little Lime sounds a winner to me and I will definitely keep a look out for it. As for the nicotiana, one of my favourites!